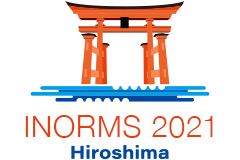 The Research Manager and Administrator Network Japan (RMAN-J) is pleased to host the 2020 meeting of the International Network of Research Management Societies (INORMS). RMAN-J has set the above theme for INORMS 2020 based on its following understanding. Academic collaboration in this interconnected world involves increasing interaction among academics from different countries and disciplines. Further, stakeholders outside of academia should join these discussions for better research management and administration. It is only through weaving diverse trans-national, trans-disciplinary, and trans-sectoral threads into a diverse tapestry that we can succeed in facing the complex global challenges of today. INORMS was formed in 2001 to bring together research management societies and associations from across the globe. Its objectives are: to internationalize the body of knowledge on research management; to exchange best practice; and to develop international approaches to supporting research enterprise. Current INORMS members (as of December 2018) are: ARMA, ARMA-NL, ARMS, BRAMA, CARA, DARMA, EARMA, Finn-ARMA, FORTRAMA, ICEARMA, NCURA, NARMA, PraxisAurill, RMAN-J, SARIMA, SRA International, WARIMA, and ACU. (For more information about INORMS, visit https://inorms.net) INORMS Congresses have been held biennially since 2006 and are great opportunities for professional development. Founded in 2015, RMAN-J is Japan's professional association for those engaged in research management and administration, whose aims are to promote science, technology, and future innovation from Japan through the enhancement of research capabilities of Japanese universities and research institutes. Hiroshima city has a lot to offer to its visitors. It is home two UNESCO World Heritage Sites - the Atomic Bomb Dome, located in the Hiroshima Peace Memorial Park, and the Itsukushima Shrine, Miyajima. These emotive and breath taking cultural sites are amongst the most popular destinations for visitors to Japan. The weather in May is generally stable and mild and perfect for exploring the city. Find out more about Hiroshima and things to do here. International Conference Center Hiroshima is located at the center of Hiroshima City and can be accessed by bus or train. Click here for access information between major cities and Hiroshima. At the airport, go to the 1st floor of the arrival gate and take the limousine bus bound for Hiroshima Bus Center. Get off at the Hiroshima Bus Center. From here, it's about a 10-minute walk to the venue. Go to the south exit of Hiroshima Station and take No. 24 Hiroshima Bus, bound for Yoshijima, at platform A-3. Get off at "Peace Memorial Park" and walk a few minutes to the venue. -Take a tram bound for Ujina, get off at "Fukuromachi". From here, on foot about 10 minutes. -Take a tram bound for Eba or Miyajima, get off at "Genbaku Dome Mae". From here, on foot about 10 minutes.